Miniutti was allegedly Avenatti's date to Anthony Scaramucci's book signing party. When celebrity attorney Michael Avenatti was arrested for domestic violence allegations last week, it was initially reported that the woman he had a confrontation with was his ex-wife. We now know that to be false. The woman involved in that incident is 20-year-old actress Mareli Miniutti, who just filed a domestic violence restraining order against Avenatti, The Blast reported. Breaking: Actress Mareli Miniutti has filed for a domestic violence restraining order against attorney Michael Avenatti per court records. 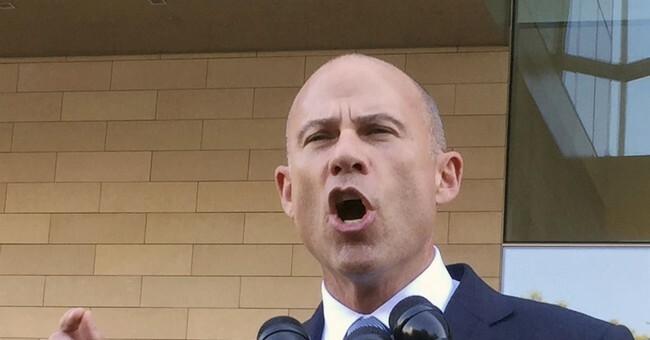 Avenatti was arrested on Wednesday when a felony domestic violence report was made against him. According to a TMZ law enforcement source, Miniutti's face was "swollen and bruised" from the incident that took place on Tuesday. On Wednesday, she was reportedly seen with sunglasses covering her face, screaming into her cell phone, "I can't believe you did this to me."